I am excited to present my January 2015 Favorites video; in an extreme effort to be time effective, I focused on just 16 products and the video clocks in at about 15 minutes. I hope you enjoy the discussion! Above: Blush and foundation and powder...oh my! 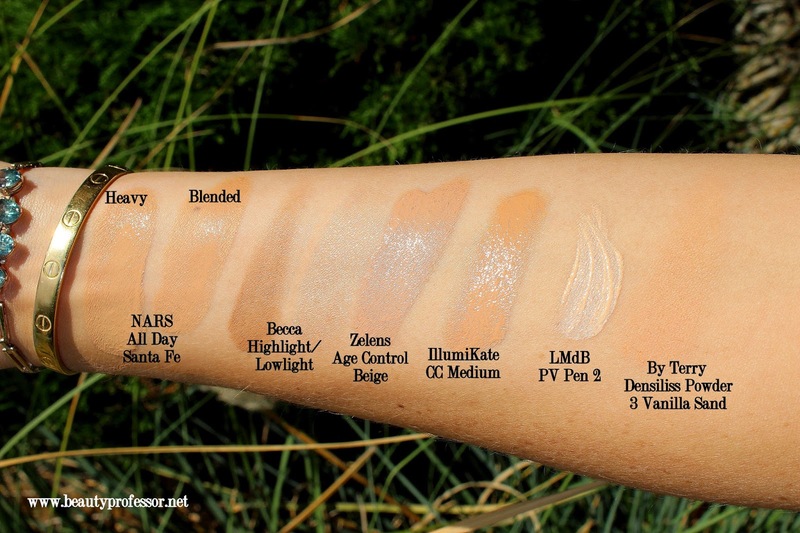 Above: Swatches of the complexion products in direct sunlight. 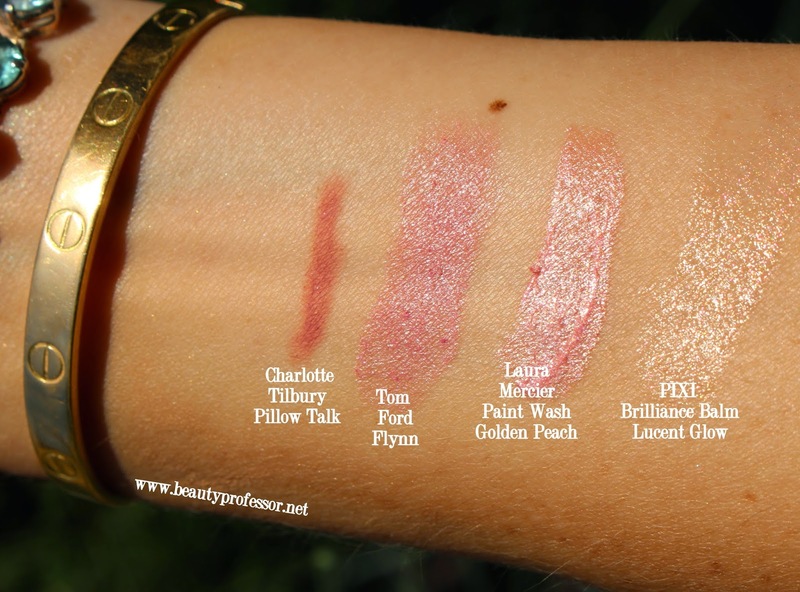 Above: Swatches of the blush and eye products in direct sunlight. 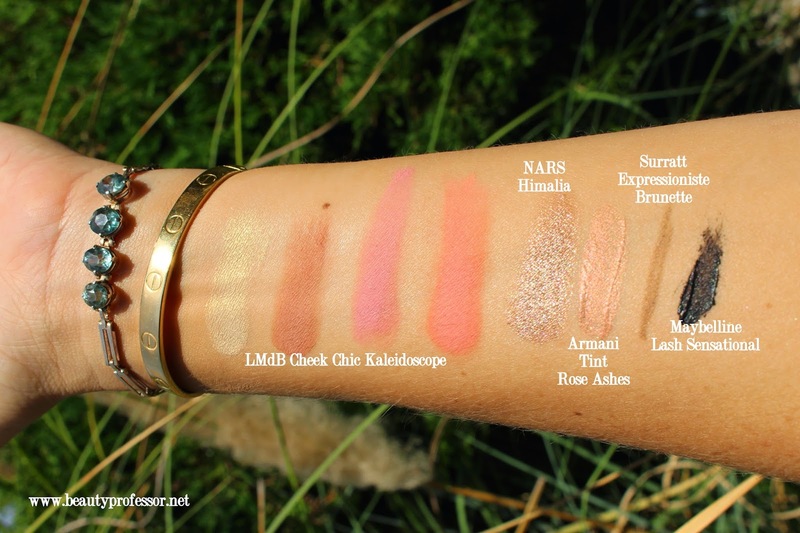 Above: Swatches of the lip products in direct sunlight. Bottom Line: Thank you so much for watching...I hope you enjoyed this video and welcome your questions, comments and video requests! What were some of YOUR favorite products for January 2015? Good things ahead, including some new products I'm currently working with, a fresh foundation review and a skincare update! Yes! Great news. Thanks LMdB and to you of course BP for keeping us always posted. I cannot wait to get my hands on shade 1. I'll buy a few just to er on the side of obsessive caution. How does the by Terry powder compare to the Burberry one you have mentioned previously? Isn't that the best news? I immediately thought of you when I was told about it! Happy to share! The By Terry is slightly less pigmented than the Burberry (which makes it great for touch ups that are effective but nearly invisible!). Thank you ever so much! I am wearing a combination of Tom Ford Spice Cream Shadow and NARS Himalia Dual Intensity Shadow and no eyeliner. I am also wearing the Becca Lowlighter/Highlighter Perfecting Palette and Charlotte Tilbury First Love Blush!